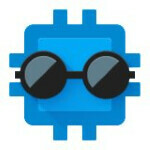 CPU Spy is an older Android app built to monitor the time your device's CPU spends in each frequency state. Brandon Valosek, its developer, left the source code open, and before long, Guiseppe Baglio took it and transformed it into CPU Spy Plus - a killer beast of an app. He added deep sleep info, swipe gestures, the ability to reset/restore the CPU timers when the USB cable is plugged/unplugged, idle states info, and enough statistics to keep a statistics class busy for a semester. Around the same time, Marko Dimartino made CPU Spy Reborn, which provided a very welcome refresh of the original app. But the story doesn't end here! Last year, developer existz also picked up the original CPU Spy code and reskinned the app in Material Design on top of adding new functionality and bug fixes. At version 3.0 Beta 3, CPU Spy is one of the most polished hardware monitoring apps around, and it will keep getting better. Next version will get a widget for resetting timers and themes, along with modern day UI touches such as pull to refresh. Pretty cool, huh? If you have been reading thus far, you've noticed that we started talking about one app, and ended up discussing four! So we'll give you the links for all four incarnations of CPU Spy in the slideshow below, putting the evolution of this beloved Android dev community project right in front of you. Of course, you can jump right in, and download the latest Material Design version. I think its a pretty useful tools to monitor the CPU utilization rate vs battery life and whether its consistent with the user usage pattern. Thanks for the introduction, PA! I get this with Twister Mod or Synapse tho...I agree its useful, but I don't want this like a standalone app you know? I find System Tuner much more useful for this. It shows the same data plus temps and RAM usage and processes in realtime.